Offering you a complete choice of products which include geftinat and iressa 250 mg tablets, glivec 100 mg capsules and geftinat 250 mg tablets. We are the most trusted name, engaged in offering a superior quality Geftinat and Iressa 250 mg Tablets. 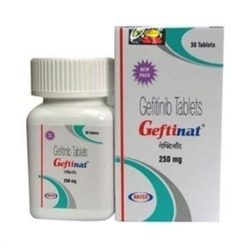 Offered geftinat tablets are indicated as monotherapy for the continued treatment of patients with locally advanced or metastatic non-small cell lung cancer. These geftinat tablets are tested in terms of quality for ensuring their quality. Also, our offered geftinat tablets are available as brown film-coated tablets for daily oral administration. 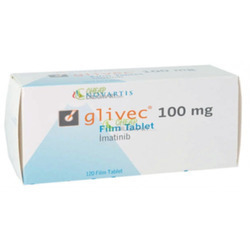 We are successfully engaged in offering an extensive range of Glivec 100 Mg Capsules. The offered Glivec medicines are processed at vendor’s processing unit, using premium quality ingredients and best methodology in adherence with the predefined medical norms. These Glivec medicines are tested on laboratories so as to assure its purity. We also offer these Glivec medicines in various packaging options in a confine time. 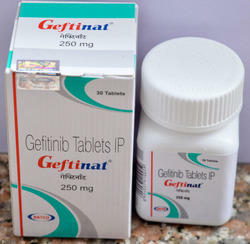 Our company is a reckoned entity, engaged in offering an excellent quality Geftinat 250 mg Tablets. Offered geftinat tablet is used for the treatment of the Lung Cancer. This geftinat tablet is processed keeping in mind the standards of medical industry using high quality ingredients & modern methodology. Our geftinat tablet is available in bulk quantity with various packaging options.